As Carrie Fisher, the Hollywood actress, once said: “Everything is negotiable. Whether or not the negotiation is easy is another thing.” Negotiating is a skill that many people never really develop, despite the fact that it can be used in virtually every aspect of life. One of the most notable uses is on the sales floor. 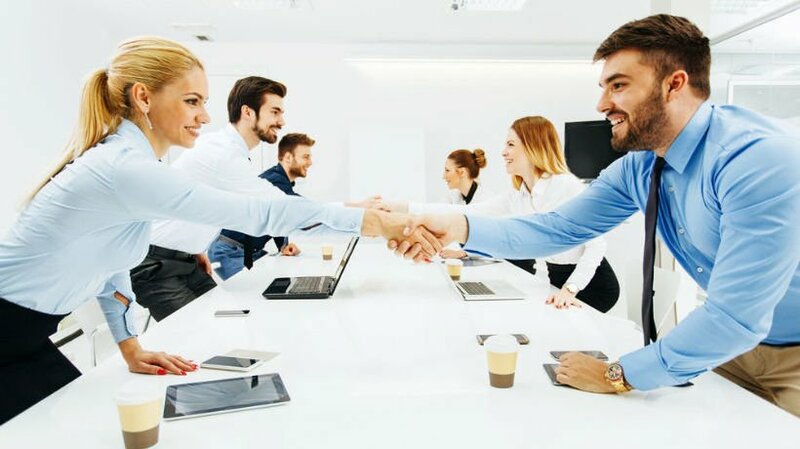 In this article, I’ll highlight 5 ways to promote negotiation skills through corporate eLearning. Whether we realize it or not, we engage in some form of negotiation every single day. From bargaining with our friends over the last piece of pie to making peace with an irritable coworker, negotiation is a fact of life. This skill even has the power to increase your company’s profits and customer service. As such, every member of your staff should be well versed on the nuances of negotiation, and you can facilitate this talent through your corporate eLearning program. This article, explores 5 ways to turn your employees into expert negotiators on the sales floor and in the boardroom. Most people associate negotiation skills with smooth talkers, who could "sell water to a fish". However, effective negotiators are actually more adept at active listening. They know how to listen to what the customer wants or needs in order to identify the ideal product. In fact, sales people with strong listening skills are able to recommend a product the customer didn't even realize they needed when they walked into the store. Active listening also allows them to pinpoint how much the customer desires the product and if they might be open to add-ons or upsells. Develop realistic online training simulations that feature customers and situations employees encounter on a daily basis. Encourage them to listen to the customer and then determine which product is best and how they are going to negotiate the terms of the sale. The secret to building negotiation skills is understanding the basics of supply and demand. The customer needs a product. But how much do they need it and is the product readily available? For example, a mobile phone that just came onto the market is going to be in high demand, which means that customers are probably going to flock to the stores to get it, if it fills a need. Create serious games and branching scenarios that give employees real world experience. Ask them to identify the needs of each virtual customer by actively listening, posing questions, and reading their body language and facial expressions. They must use all of this verbal and non-verbal indicators to gauge a customer's interest in the product and figure out how to address their problems or concerns. Every member of your sales team has their own unique approach. Therefore, you must create a personalized online training strategy for each employee. While some may need to improve their listening skills, others may need help articulating the features of your products. The ultimate goal of the online training experience should be to foster a customized negotiation style. This style capitalizes on the strengths of the employee and allows them to improve on their weaknesses. When an employee knows what the customers wants they must present a deal that's too hard to pass up. Create online training self-assessments that allow employees to test their own knowledge, encourage them to set personal goals, and offer them supplemental microlearning online training activities to build their skills. This also gives them the chance to develop a plan of action that works best for them and achieves the desired results. Customers can sense when a sales associate is genuinely excited about the product and when they are just following a script. This is why it's essential to foster a strong, supportive corporate learning culture that encourages employees to be passionate about what they're offering. Create social media pages where staff can ask questions and provide feedback. Host an online training event that allows them to share their opinions and interact with upper management. Let them know that they are a valuable part of the team by offering personalized praise. Leaderboards and other game mechanics are also great feedback tools that build a sense of online learning community, and friendly competition. Above all else, emphasize the importance of ongoing online training and professional improvement. Effective negotiators are always willing to "up their game" by engaging in corporate eLearning courses and online training activities that expand their knowledge base. Employees must know about the products they are selling in order to negotiate the sale. Design bite-sized product knowledge online training courses that include the features, specs, and benefits of your products or services. In fact, make it mobile-friendly so that employees can access it whenever, wherever they are meeting with customers or clients. They can simply use their mobile phone or tablet to view a quick tutorial or participate in a micro-simulation, then pass the perks onto the consumer. These online resources also help them retain and recall the information more effectively, as they are able to access them time after time to reinforce their knowledge and skills. You should also provide optional links to eLearning videos, articles, and reviews that employees may find useful. Negotiation is not meant to be deceptive or underhanded, even though it has this connotation in some circles. At its core, negotiation is about identifying a customer’s needs through active listening and then figuring out how both parties can mutually benefit. Use these 5 tips to facilitate negotiation skills in your corporate eLearning course, increase profits, and provide your customers with award-winning service. Fostering a strong work ethic in your organization is a prerequisite for employee productivity and performance improvement. Read the article 7 Tips To Promote A Strong Work Ethic Through Corporate eLearning to discover tips that can help you prevent procrastination and promote productivity in your corporate eLearning strategy.